I know I should be working on my course but I'm here still playing around with photos. 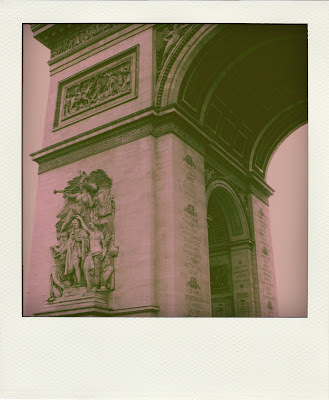 Have you checked out Poladroid? It's pretty neat. Here are some of my photos, Poladroided. Love the polaroids! (As you know, I use it quite a lot myself too!) It ads a very vintage and nicely framed touch to your pictures! 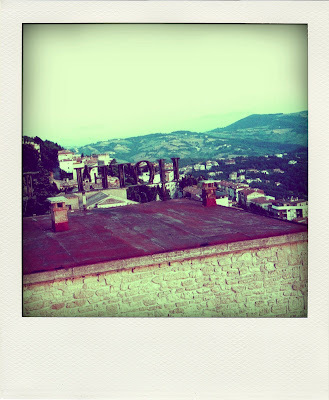 And I must say that i do like the 'polaroided' San Martino-Rooftops -picture with the highlighted colours. 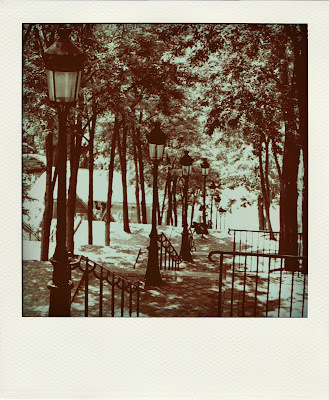 (although I recently voted for the non-highlited version...) If I remember well, Polaroid actually used to look like that... Very nice! But my favourite is the one with the stairs. LOVE! Well done! And Best Wishes! Can't wait to try it out... Thanks for the link! That last picture is oh-so-cool. Have been enjoying reading your blog. Thanks for sharing! This looks like great fun. I grew up with polaroids and I still own one. I'm sad that polaroid has gone. Thanks for the link. I see you love beetles, I just blogged about them, you may be interested. p.s. Your blog is lovely. Oh i love the polaroid look too! I must take a looksie. I did have camera not so long ago but the film was so! expensive.